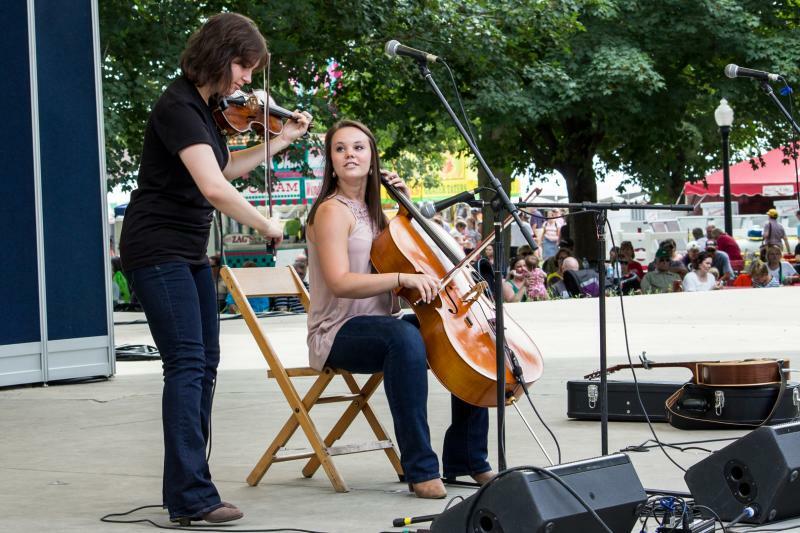 Violinist Karla Deitmeyer and cellist Olivia Hahn perform a combination of folk, alternative rock, and modern classical music as “The OK Factor” at the Iowa State Fair in 2013. One of the musical performances this weekend from the Iowa State Fair is the new band “The OK Factor". Violinist Karla Dietmeyer and cellist Olivia Hahn combine folk, alternative rock, and modern classical music. 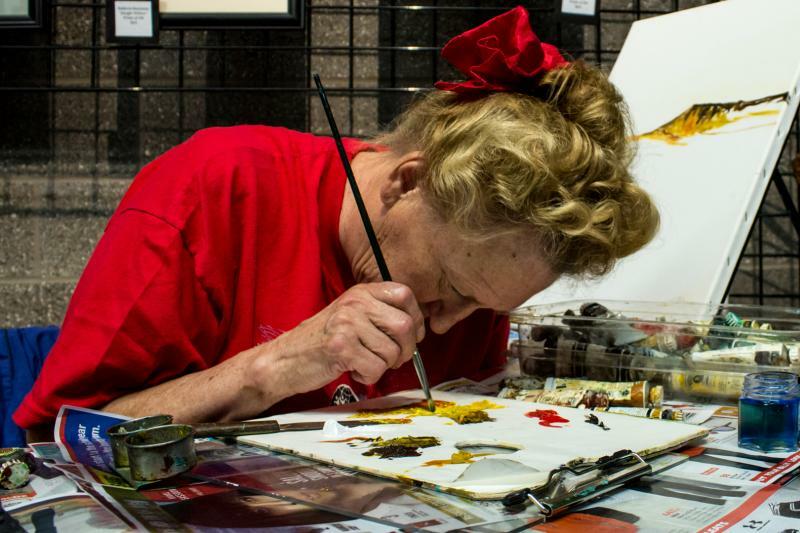 Elsie Monthei is a blind painter who for more than thirty years has painted landscapes. This week she spent a day at the Iowa State Fair demonstrating her talent for Very Special Arts (VSA), a group with the mission of highlighting the artistic abilities of people with disabilities.